"Very good exchange, with lots of coins." Poloniex is one of the best exchange that I have used, I remember it was the first one that I used, when I started in the world of cryptocurrencies, this exchange has always counted, with a large amount of coins, which allows to make different investments, and distribute the money in a better way, also the new icon currencies, which are sustainable, are always first hand in poloniex, which allows to make early investments of these currencies, and make much more money, in other exchanges you will find many more coins new, but of dubious origin, poloniex before entering a new currency, makes a meticulous study, especially what covers that currency, to be sure they, and their clients that is not a scam. the support is very limited, there is no live chat where one can communicate, for any inconvenience that may arise, with some transaction, that I think is one of the biggest problems of this exchange, and I think it should be improved soon, when you invest money in this type of business, you know there is some risk, that is why support is vital, also another point that should be improved is the income of money, to the platform with different means, it cannot be that after so many years, to go online, even if you can not enter a balance, for another type of media, that is not a cryptocurrency. one of the best exchanges in the market, with hundreds of currencies to negotiate, low rates of commissions, highly recommended. We operate as a physical bitcoin store, where our customers can buy with different means of payment, all kinds of cryptocurrencies, thanks to poloniex, we can offer an endless number of currencies, for all tastes, which broadens our business spectrum, the advantage of poloniex, is that it offers us prices, according to the market, and withdrawals and transactions with different currencies, are very economical, which allows us to negotiate, with them, and obtain better benefits. "Great exchange with tons of coins"
The best thing about the exchange is its simple interface that shows the most important thing that a user needs to buy or sell cryptocurrencies, the interface is very fluid and is not overloaded, the use of cpu and ram is normal. This is very important because there are other exchanges that saturate the user's screen and although its interface is very beautiful, its consumption of resources is high. In addition poloniex offers the best currencies that currently exist and continuously eliminate those that are abandoned by the development teams. Another important aspect that few exchanges have is the possibility of making margin trading this means being able to operate with an amount 10 times higher than the funds in your account, which translates into higher profits and possibly also higher losses if you do not succeed in your decision. -I miss the chat that used to be in the exchange, it was something that gave the exchange personality. The trollbox was an identity sign when this exchange was the one with the highest volume. -They are eliminating some cryptocurrencies that are still in operation and development, I think it is an error because although its volume is low, there are still people who maintain that token and doing this they incur losses. I recommend using poloniex to those people who are looking for an exchange with a high volume for almost any currency and have the possibility to withdraw USDT or USDC. 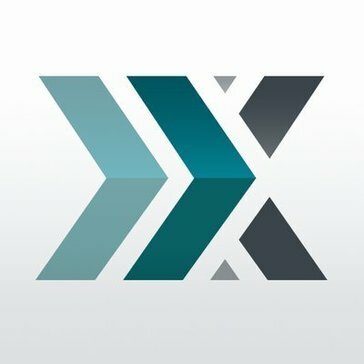 If you are looking for an exchange with low fees for sale or purchase and even for deposits or withdrawals I suggest Poloniex. Sometimes my clients pay me using Bitcoin and other cryptocurrencies so I need to sell them to convert them to USD. I am using poloniex as an exchange for these sales because their fees are too low to make withdrawals. "Excellent cryptocurrency exchanger in the cloud"
I highly recommend the cryptocurrency enthusiasts to use this platform, it really seems comfortable and safe. In addition to having a large number of cryptocurrencies that can be bought and sold without any limit. The limits are in withdrawals according to the level of verification of each account. "An exchange regulated by U.S. laws"
Poloniex is a Delaware based exchange although it was founded in San Francisco, is available in over 200 countries, has over 100 altcoins available for exchange, a very high liquidity, the lowest fees in the market, is an exchange regulated by U.S. laws, has the option to activate the authentication of 2 factors and also stores in cold wallets most of the funds. Poloniex does not offer the possibility to trade in fiduciary currencies, it only admits digital currencies. It is a very reliable exchange because it is regulated, something very uncommon in this type of websites, I recommend it because it is easy to use and offers great liquidity. It allows me access to new currencies at a low rate and with high volatility and profitability, it helps me diversify my portfolio and that of my clients. "Some of the rates are among the lowest in the market"
Poloniex is an exchange launched in 2014 that quickly grew to become a major, is regulated by U.S. laws, admits users from more than 140 countries, has a very high liquidity and the design of the site is intuitive and easy to manage, some of the rates are among the lowest in the market, withdrawals and free deposits and more than 100 cryptocurrecies to trade. 1. It doesn't support FIAT currencies. 2. Your customer support service is very poor. It is a very interesting platform to have among other options and diversify investments, can be very profitable if you know how to use. Well, Poloniex is a platform that allows me to trade more than 100 digital currencies with speed, security, liquidity and sometimes with a very low fee per transaction. Poloniex is an American exchange that offers a completely friendly platform and easy to use, has a long list of digital assets and 5 base markets, 2-factor authentication, storage of funds in cold wallet, a very high liquidity in almost all currencies and a progressive fee table that decreases fees up to a ridiculous 0.1% if trading with large amounts. Poloniex is a very good exchange, however its weak point is not to offer the possibility of trading with dollars or euros. It is a very convenient and friendly platform, especially with experienced traders, beginners will find it difficult at first. It allows me to keep in constant movement my portfolio offering me several currencies at good price and low rate, it is one of my favorite exchanges. "One of the most diverse exchanges in the world"
It is one of the most diverse exchanges in the world, with very good liquidity in most of the currencies it offers, secured with 2-factor authentication and cold storage of funds, the main screen is very complete because it offers several time frames, candlestick graphics with multiple options of Fibonacci and Bollinger bands. The website is very slow, uses a lot of browser resources and you can't open many tabs at once. It has a very easy to use interface and variety of alternative currencies, it is an excellent choice for security and reliability. Poloniex is of great help in my work because it allows access to BTC and more than 80 altcoins, has good trading margin of alternative currencies and excellent liquidity. "Offer different advanced tools and detailed interactive graphics." Poloniex is an exchange platform of the most secure that exist, based in USA and regulated by its laws this platform allows to exchange more than 80 cryptocurrencies in 5 markets, I like that the registration and verification of the account are simple and do not take much time, I also like to offer different advanced tools and detailed interactive graphics. It lacks greater attention to the customer because they have very delayed the response of tickets. I recommend Poloniex because it is very secure and reliable, stores its users' funds offline in a cold wallet, plus transactions are fast and with a very low fee. Poloniex allows me to trade and invest in different cryptocurrencies, has a very friendly interface that helps novices, but with advanced features for those of us who handle large portfolios of clients, facilitates me to speculate with the price of new cryptos for their fluctuation and maximize my profits and those of my clients. "Excellent exchanger for cryptocurrencies and trading"
"Secure, fast exchange with wide variety of crypto-currencies"
Poloniex seems to put forth substantial effort to ensure their platform is private and secure. They provide TOTP for multi-factor authentication, which is far more secure than SMS. They provide access to many crypto-currencies, and the fees are very reasonable (frequently as low as 0.1%). I wish Poloniex would provide secondary currency support, particularly in charts. Users wanting to evaluate trade ideas, currency movement, etc. in terms of US dollar, for example, are on their own to do the necessary calculations. Additionally, customers needing to convert crypto-currencies to fiat (i.e., USD) need to transfer them to another exchange. This transfer involves additional fees. Finally, some may not like that Poloniex does not offer mobile device applications such as an iPhone app. I personally find this attractive, because it helps them maintain very high security. Poloniex provides a good exchange for trading crypto-currencies. Their focus on security is evident, and gives me better peace of mind than other exchanges. First of all, I LOVE the dark theme. I really appreciate how you can see your balances and transactions on a single page. The added security of approving a transaction is phenomenal and should be standard in crypto. My only wish is that users can purchase cryptocurrencies with fiat directly from the platform and not need to do so with a third party. If that service were offered it would make the platform standout as a competitor to other exchanges. My only recommendation is that all new users transfer BTC or USDT to the exchange PRIOR to buying or selling. Poloniex solves the issue of finding a trustworthy US crypto exchange. "One of my most used exchanges." Poloniex is one of my most used exchanges, it has 4 base cryptocurrencies and from them there are many other cryptocurrencies to invest and get the highest return, it has real time graphics that facilitate the analysis, the web is very easy to use, it is registered in FinCEN and keeps 98% of the funds offline. The only thing I don't like about this platform is that it doesn't accept fiat money, it's a good exchange, very reliable and safe. I recommend this platform because it is easy to operate and very safe. Poloniex facilitates the trade of cryptocurrencies because of its fast transactions and low fees. "Fewer Markets, But good reputation"
Poloniex is knowned for its security. The platform offers 2FA mechanism using the Google authenticator. The platform does not offer a native mobile app as other exchanges such as Coinbase, Binance, etc. I personally complaining to the company via email for a lack of support on the platform. The platform is also well known for it's pump & dump culture which favors day trading rather than swing traders. The mobile web app needs a serious redesign in order to make it more appealing and easy to navigate on mobilr devices. I use Poloniex to diversify my portfolio of crypto assets. In certain markets, it's more advantageous for me to trade on Poloniex because certain coins are cheaper to acquire. "Offers a wide list of digital assets to trade based on 5 markets"
Poloniex is an exchange based in Delaware, offers a wide list of digital assets to trade based on 5 markets that are BTC, ETH, USDT, USDC and XMR, deposits and withdrawals are free and fees are among the lowest in the market and are reduced when more one trades. It does not accept US dollars, one must resort to other platforms to buy with real money. Poloniex is one of the most reliable exchanges of digital assets, it is a legal and regulated company. It has an interesting variety of digital assets, which allows me to have a more heterogeneous and active portfolio. "The most prestigious U.S. crypto exchange"
Poloniex is the most prestigious U.S. crypto exchange, accepting transactions from all countries in the world, after the 2014 attack have invested a lot in security and managed to improve their reputation again, allows to operate with leverage and has a huge variety of cryptocurrecies available. The website is slow, customer support is very bad and does not accept fiat currencies. Poloniex is an excellent exchange with low rates and fast transactions, offering security and reliability. Poloniex gives me access to more than 100 different altcoins to trade and is accepted in more than 200 countries and has a lending and margin trading platform. "One of the safest and most reliable crypto-crypto exchanges"
Poloniex is one of the safest and most reliable crypto-crypto exchanges founded in the USA, it requires 2-factor authentication for API use and for withdrawals, it has audit programs that block suspicious activity and most of the funds are stored cold and offline. They do not offer the possibility to deposit U.S. dollars and their customer service never answers. It is a regulated company and therefore totally serious and safe, allows access to very interesting currencies and very good profits. Supports more than 65 cryptocurrecies which allows me to constantly update and vary investments, allows access to almost unknown and very profitable coins. Poloniex has a great reputation, is a crypto-crypto exchange platform, offers more than 100 altcoins to trade 5 base currencies, the fees it charges decrease as the trader increases the volume of his trades, stores the funds of his users offline in a cold wallet and is a registered and regulated company. It does not have good customer service and does not offer the possibility of trading fiat money. It is a very reliable and convenient exchange registered, regulated and headquartered in the USA. It allows me to access many new and profitable cryptocurrencies, keep my investment portfolio moving and constantly changing. "More than 100 altcoins available to trade"
Poloniex is an exchange founded in 2014 in the U.S., has more than 100 altcoins available to trade, has a very high liquidity, fees are low and does not charge for deposits and withdrawals, offers 2-factor authentication and stores funds offline and in a cold storage. Their customer support is very bad and they do not offer as an alternative the deposit and withdrawal of dollars. Poloniex is a famous exchange for its security and extensive list of cryptocurrencies it allows. It allows me to trade with cryptocurrencies easily, quickly and safely, their safety is the most remarkable. "Stores the funds in a cold wallet offline and gives the option to use 2-factor authentication." Poloniex is an exchange that only offers crypto-crypto transactions, is one of the safest I know as it is a registered company, regulated and based in USA, offers more than 100 altcoins to trade in 5 markets (BTC / ETH / XMR / USDDT / USDDC), stores the funds in a cold wallet offline and gives the option to use 2-factor authentication. It does not allow trading in fiduciary currencies so you must go to another exchange if you want to use your credit card or bank account. It's a platform that your users describe as very safe and reliable, I've made big investments in it and I've made good profits. Poloniex gives me access to new digital currencies with good volume, allows me to offer my clients a variety of options to invest. "Fees that drop as you trade more on the platform." Poloniex is an exchange based in USA, with an impeccable reputation and high security, keeps 90% of its funds offline, offers 2-factor authentication, access to over 100 altcoins, analysis tools, fees that drop as you trade more on the platform. Sometimes they have delays in the deposits and the website gets a bit slow. It is worth trying this platform, it is very convenient when you trade high volumes. In the platform of Poloniex I can find many new altcoins, I like to try these coins because they are usually profitable, but not always. I like that you can trade with leverage, has a huge list of cryptocurrencies that you can access in Poloniex and has a stop-limit to reduce risks, allows me to diversify the cryptomonedas portfolio of my clients and get better results. It has a very bad customer service and the web loads very slow. I recommend this platform for the amount of cryptocurrencies offered to its users, have greatly improved security after the attack of 2014. Help my company to exchange easily and quickly a wide variety of cryptocurrencies, fits the needs of my customers. "A clean and sensitive design"
Poloniex is a reliable exchange, is a U.S. registered and regulated company, offers a clean and sensitive design, allows trading with more than 100 altcoins with commissions of the lowest in the market, deposits and withdrawals without charge. It doesn't offer an app for android and the customer service is terrible. It has the best fees and is a regulated exchange, its users highlight its security. It is an exchange that allows me to access altcoins that are not available on other platforms and offers me speed and security in my transactions. I like Poloniex because it has more than 75 cryptocurrencies available, also 4 base cryptocurrecies are used to exchange which makes the exchange experience more comfortable and inexpensive while other platforms only offer 2. The only bad thing is he doesn't accept fiat, only cryptocurrencies. I recommend Poloniex because it offers a great variety of cryptocurrencies, and they have improved their safety a lot. Poloniex is a good exchange platform, deposits and withdrawals usually take 30min, it has graphics that help a lot to keep informed about the cryptocurrencies available. Poloniex is a platform for exchanging digital assets and with a security that is one of the best, is a regulated company, offers a good amount of cryptocurrencies, a wallet, graphs for analysis and intelligent investments and low commissions. Sometimes there are problems with withdrawals, customer support doesn't work well. After the attack in 2014 Poloniex recovered quickly and today is one of the most reliable platforms. It is a great exchange, it is a reliable and regulated company that offers more than 80 digital currencies to trade. Poloniex is excellent and safe, offers a lot of cryptocurrencies to trade, has a great reputation in the market for its security, also allows to trade on margin which is not very common on these platforms. Customer support is very poor and the website loads very slowly. I consider Poloniex a powerful tool for digital currency exchange, it offers excellent and detailed charts on each currency. It allows me to trade on margin and exchange cryptocurrencies quickly although the web is a bit complicated to understand at first. "Interface very clean and user friendly"
Poloniex was released in 2014 and has users all over the world, its interface is very clean and user friendly, it does not charge for deposits and withdrawals, it has 2-factor authentication and stores almost all backgrounds offline for security. It does not allow trading in fiat currencies and its customer service is very poor. Poloniex is an excellent exchange that allows you to trade digital currencies easily and quickly. Offers over 100 digital currencies, allows margin trading and very low fees. "Requires 2-factor authentication for withdrawals." There are many things I like about Poloniex, for security requires authentication of 2 factors for withdrawals and to use the API, the vast majority of customer deposits are hermetically stored cold, Poloniex has audit programs every day of the year and block all activities it considers suspicious, allows trading by margin and leverage and is regulated by FinCEN. The bad thing about Poloniex that only receives deposits in cryptocurrencies, does not accept fiat currencies. Poloniex is a very safe platform with low fees, it is highly recommended because it is easy to use. It gives me access to more than 100 digital assets on your platform and offers margin trading, something very interesting and missing in most exchanges. "Allows access to more than 150 countries, more clients." Poloniex was founded in 2014, most of its users are in the USA but the platform allows access to more than 150 countries, is a fairly complete and secure exchange of cryptocurrecies, fees are relatively low, regarding security I like the cold storage of funds offline and the authentication of 2 factors. Their customer support never solves anything and they should offer the option to trade fiat currencies. Poloniex is a great exchange, for its security has earned a good reputation, also allows trading with some cryptocurrencies almost unknown. It allows me to trade between cryptocurrencies of high and low volume, there are always novelties, it achieves a large margin of profitability to trade in Poloniex. "Poloniex is an exchange for those that love altcoins and margin trading." A great thing about Poloniex is that is offers a large variety of altcoins along with margin trading for them. The bad part of Poloniex is that it has been hacked severely back in 2014, so there is always that question of trust within the platform. But also that it seems to be a hub for pump and dump culture which is not a good thing in the crypto space. This means the users can be an easy target for price deception and losing money in short amounts of time because of artificial pumps on the platform. The charts on the platform also look a little confusing. Poloniex provides altcoin margin trading. "It allows you to trade in an extensive list of crypto coins." Poloniex allows me to trade with a wide list of cryptocurrencies, is widely reliable because regulated by U.S. laws, most of the funds are stored offline in cold wallet, offers one of the lowest fees in the market and is lower even when you increase your volume of transactions. It is a very good platform but it does not admit US dollars as exchange currency. It has earned the trust of its users and offers many digital assets to trade, it is one of my main exchanges. Offers low volume currencies that are very attractive, graphs for technical analysis, an audit service to avoid scams and the lowest commissions. "Great place to start trading cryptocurrency"
Poloniex is a perfect exchange for merchants that wish to convert one cryptocurrency to a different, lend digital token or trade on margin. It offers a hundred's of crypto coins to exchange or trade with and they've got a unique tool that allows users to analyze the cryptocurrency market before they start a new trades. There is a selection of points Poloniex might fix including; long withdrawal times, lacking technical assistance, no fiat to cryptocurrencies trading (just crypto to crypto), long verification wait times, problems with accessing the site as a result of technical problems. "Funds are stored offline in a cold and airtight storage." Poloniex is an exchange based in the United States, offers advanced trading tools, maximum security with 2-factor authentication and most of the user's funds are stored offline in a cold and airtight storage. The only thing I find wrong with Poloniex is that it does not allow trading in dollars, euros or pounds. I recommend Poloniex because it is a company regulated by North American laws, has a good amount of cryptocurrencies to trade and charges very low fees. Poloniex is a very secure exchange that allows me to access more than 70 altcoins with really low commissions. "Poloniex es uno de los mejores exchanges que esisten actualmente"
La plataforma es bastante fácil de usar, manejan una buena cantidad de diferentes criptomonedas y por otro lado toman muy en serio la seguridad por lo que solo agregan criptomonedas que hayan demostrado cierta solidez, de esa forma evitan scams y fraudes. Se interconecta fácilmente con otras herramientas para utilizar su data en los casos como análisis gráfico o seguimiento donde las funcionalidades existentes se quedan cortas. La parte de análisis gráfico podría mejorar mucho, le faltan herramientas y funcionalidades que permitan hacer los análisis de forma rápida. Actualmente yo prefiero usar otra herramienta para análisis gráfico cuando opero con Poloniex. Otro ejemplo es que para hacer seguimiento de precios y operaciones es imprecindible utilizar otras herramientas. Excelente herramienta para análisis del mercado de criptomonedas. Su solidez y trayectoria dan la seguridad y confianza necesarias para trabajar con Poloniex. Me permite operar con criptomonedas de todo tipo. "Best Crypto Exchange for Business"
I really enjoy the care they took in designing the UI, specifically when setting up stop-limits and sell-limits, as well as margin trading. It allows for a very robust set of options when executing trades, evaluating charts, and ultimately getting your money back out. I have used a few competitors, namely Binance and Coinbase, and have found more success with Poloniex. The fact they are based in the US helps as well. One issue I encountered was the response to my inquiry for account recovery. The automated ticket told me I'd hear a response in 72 hours, but it took closer to a week before I heard back. This was to recovery my 2FA and was not handled with the urgency I was hoping for. Weigh the options of using every exchange before making a decision. Poloniex works for me as it offers a lot of tools I need on a daily basis, but some people may not need that level of complexity. Other exchanges offer similar tools but with more approachable UI, so understand what you need in order to be successful. I believe Poloniex offers some standout features and would recommend it to anyone looking to expand their business. When you trade cryptocurrency as a form of income, it's important that you can feel confident in your tools. Poloniex has allowed me to set more automation, expanding my business and by leveraging the margin trading, you can earn even more. "A reputable exchange provider for complex transactions in the field of cryptocurrencies"
Each exchange rate is 0.25% of the exchange value. This means that the fee for large and small exchanges is fixed. This is due to the slowness of customer support in this currency exchange broker, which prompts traders to pay more careful attention to protecting their accounts. This exchange is very popular among Americans and offers exchanges with the best speed and security. Poloniex offers more advanced exchange features than Bittrex. These features include (margin trading) and build / receiver exchanges, so it's not recommended for beginner users. I like how simple the platform is. The app is awesome. I wish the charts were simpler it takes a second to understand the timeframes. It helps me find an easy exchange that is on US soil. The exchange is straightforward and simple to use and provides a significant amount of information. The trading rates provided by Poloniex are fair and competitive. The interface is somewhat simplistic and can be slightly clunky when compared to other similar sites. It could use additional features to more effectively graph information. Using Poloniex provides the ability to move between crypto currencies in a fluid manner. "Works well. Could use improvements. " Charting library is easy to use, and supports different indicators. Aggragated order book instead or trade history. Need to provide web socket support for ticker data. "Reliable site, but there are more popular ones out there now. " I liked it had been around for a while and was reliable. There are definitely ones that are more popular and have more liquidity now. Probably the last of updates and it seems less user centric. It was an easy place to buy and trade. "Poloniex is definitely work checking out." There are 2 main things i like best about Poloniex: the number of trading pairs, and their API. Not their fault, but some pairs have less volume than preferred. Easy trading of crypto assets. That was the problem and the benefits. * We monitor all Poloniex reviews to prevent fraudulent reviews and keep review quality high. We do not post reviews by company employees or direct competitors. Validated reviews require the user to submit a screenshot of the product containing their user ID, in order to verify a user is an actual user of the product. Hi there! Are you looking to implement a solution like Poloniex?